Creative solutions can be challenged and defended in the pursuit of profitability. But first, creativity must be demystified. A process that targets innovation provides leaders with just such a problem–solving approach. The goal is to produce high–quality ideas that are appropriate to the task which means groups and organizations can implement them with less risk. Work with the targeted innovation process consists of activities in five areas: stating the problem in a way that encourages creative problem solving, learning and understanding different problem–solving styles, learning and understanding creative pathways and their relationship to problem solving, generating ideas, and evaluating those ideas. Targeted innovation reconciles creativity with management. Managers can use it to solve problems that meet their organization s call for innovative answers to current challenges. 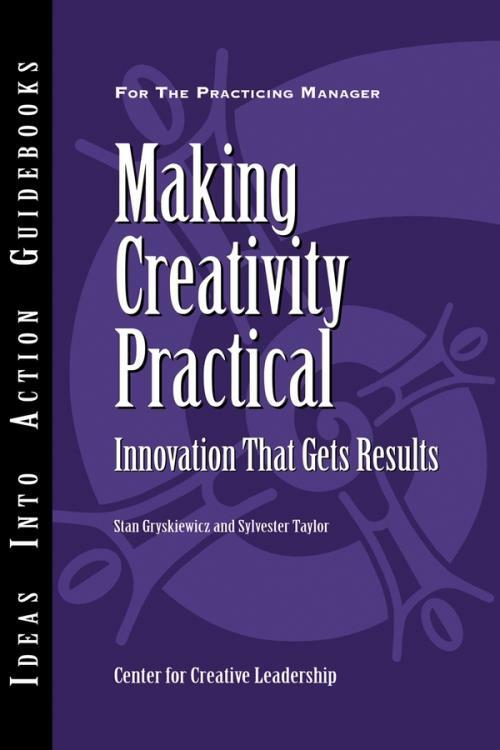 7 What Is Practical Creativity? 8 Why Is Practical Creativity Important? Center for Creative Leadership (CCL) has generated, since its inception in 1970, through its research and educational activity conducted in partnership with hundreds of thousands of managers and executives. Much of this knowledge is shared–in a way that is distinct from the typical university department, professional association, or consultancy. CCL is not simply a collection of individual experts, although the individual credentials of its staff are impressive; rather it is a community, with its members holding certain principles in common and working together to understand and generate practical responses to today′s leadership and organizational challenges. The purpose of the series is to provide managers with specific advice on how to complete a developmental task or solve a leadership challenge. In doing that, the series carries out CCL′s mission to advance the understanding, practice, and development of leadership for the benefit of society worldwide. Stan Gryskiewicz is a Center for Creative Leadership (CCL) senior fellow for creativity and innovation, and serves as vice president for global initiatives. He has spent his career developing a more practical approach to creativity in organizations, including the process of targeted innovation. He holds a Ph.D. degree in organizational psychology from the University of London. Sylvester Taylor is director of the Assessment and Development Tools group at CCL. During his tenure he has applied the process of targeted innovation to a variety of situations in many different organizations. He holds a B.S. degree from the University of North Carolina at Chapel Hill.